What Do You Do When You Come In Second? It has happened to all of us! You found a position you really like. It feels like a great fit, and you know you have what it takes to not only do the job . . . but to do a great job. So, you went after it, gave it all you've got, and earned the opportunity to interview. The interviews went really well. You wrote all the requisite "Thank You" letters to the entire interview panel. You made it to the finals - it was down to three of you - all strong candidates. Waiting it out the week between the final interview and the company's decision was a long-n-n-n-n-g week. And, then the call came. You came in . . . . . . . second or even third! So what do you do when you lose one? What should you do, and equally importantly, what shouldn't you do? There are some smart strategies to employ, and utilizing them capitalizes on the investment you have already made in this position as you approached and interacted with the firm for whose position you came in 2nd or 3rd, or even 5th or 6th! ■ What shouldn't you do? First, let's tackle what you shouldn't do, and get that out of the way so we can focus on using your energy where it will do you the most good. You lost a good job, maybe it even seemed to be your "dream job." To say you are disappointed is understatement. You may be feeling deflated, defeated, discouraged, . . . a little angry. There might be a lot of things you'd like to say or do when you experience such a disappointing outcome, and you'd like to say them to not only the employer who didn't choose you, but to friends, colleagues, family . . . anyone who'll listen. But, don't do it! and later in the article you'll learn why. ■ What should you do? Now, let's focus on what you should do, and a strategy that will do you the most good! (2) a letter to the employer. Why? This pro-active response on your part may just pay off down the road in the employer thinking well of you, a possible referral, and even a possible job down the road. Step 1: Take a breath! Literally and figuratively step back and take a breath. You are not superman or superwoman, and when we humans experience a big disappointment, or even a small one, it can take a little time to get past it enough to begin to behave, think, and act like our ourselves. So take a little time for yourself - a day or a couple of days (I'm not talking about a week or month here!). When you know you are now thinking rationally, logically, and strategically, prepare to take Step 2. Step 2: Call the company. Follow-up with a phone call to find out why you lost the position . . . never using the word "why." Your goal is to find out what you lacked, that the successful candidate had, that won them the job! Contact the company representative with whom you feel you had the best rapport or are most comfortable; that will generally be either the hiring manager or a Human Resources (HR) employee. Thank the hiring manager or the HR professional for the opportunity to have interviewed, saying how impressed you were before the interview, and now you are more impressed by the caliber of the organization, its mission, its team, and the work the company does. Being your most humble and charming self (this will not work if you come across hostile or angry), say that you are conducting a very pro-active search for a new position, and their feedback will help you do so. Ask this question: "While I'm disappointed at not being selected for the position, if you could provide me with some information about (or, help me understand, etc.) where I may have fallen short (or, what I lacked, etc.) it could help me fill the gap (or, remedy this, etc) so that I can be successful in my search? I would really appreciate it!" Listen: That means stop talking! Let them talk. Do not interrupt. You are now mining gold! If you have been successful in your request, you will now get information that tells you what you lacked. With this "golden information," you can now fix it! Thank them for sharing this valuable information. Wish them success. "I really enjoyed meeting you, and wish you and your new employee (name the position such as your 'new marketing director') success. Offer your assistance if you can be of help in any way to them now or in the future. Ask for referrals or future consideration. Ask if they would think of and contact you if they learn of another position for which you would be qualified (inside or outside the firm), or think of someone to whom they can refer you. Ask if they would consider you for a future position should they have a need in their own company. And, ask if you might stay in touch from time to time to touch base. Thank them again for their help -- a big, gracious THANK YOU! ■ Why should you make this call? Fill and fix your gaps. If you are lacking a certification, credential, or skill you'll find out about it. If your knowledge or experience falls short, you learn where. If it was something entirely out of your control (a brand new hiring freeze or an internal candidate got the job), you may hear that as well. If you DID NOT have a gap, and actually forgot or neglected to mention a required skill or knowledge you actually possess, you can use the call to inform the hiring manager or HR rep that you do indeed possess the needed quality, and hope they'll re-consider you in the future. Step 3: Write a "Thank You" letter. You now have gotten valuable information about where you may, or may not, have fallen short. Write "Thank You" letters to the whole hiring team. Thank the hiring manager, HR representative(s), other interviewers, and anyone else with whom you interacted for the opportunity to have interviewed. State that you were impressed before the interview, and now having learned more about the firm via your interviewing experience, you are even more impressed by the caliber of the organization, its mission, its team, and the work the company does. Note: Personalize each letter different. No one-size-fits-all! Fill the gap. ● If you had a gap, mention the steps you are taking to fill it. ● If you actually possess the knowledge, skill, etc., mention that you do have it, and that YOU are sorry you (Get that? YOU take the responsibility) that you failed to mention it. Wish the company, and the successful candidate, success. Yes, be gracious and a good sport! Write: "While I'm disappointed at not being selected for the position, I wish you and the successful candidate (or, your new marketing manager, etc.) success." Offer your assistance if you can be of help in any way to them in the future. Sell your capabilities. Remember, this, as with all written correspondence, is a sales letter showing that hiring you brings benefits. So, write a couple of sentences about your unique/strong capabilities that brought you to their attention in the first place, and that you look forward to utilizing these capabilities to benefit your next employer. Ask for future consideration should a position arise in the future, or should they learn of an opportunity in your industry. ● Ask for referrals. ● And, ask if you might stay in touch from time to time to touch base. Close with a big, gracious THANK YOU! Step 4: Update your team. Don't neglect your network - where this lead may have originally come from! These folks are on your team! Let anyone who championed you for this position know the outcome. As with your letter to the interview team, thank your champions, provide information about how the process went, and tell them the outcome. Update the folks on your entire network contact list. Skip the detail you provided your champions; simply tell them (1) that you are still on the market, and (2) will appreciate their continued support. 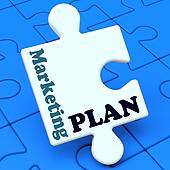 Step 5: Re-visit your marketing plan. Take some time to take a look at your marketing plan. Then, update your plan with new knowledge you have learned since your began your search, as well as what you may have learned from this particular interviewing experience! So, that's it. . . the 5 steps to follow when you lose one! Why go to all this trouble? Because even when you lose one, following these steps can help you reap a return on your investment as described below. Question: Why on earth would you go to all this trouble, work, and effort, and thank folks who rejected you? In other words, WIIFY . . . What's In It For You? Answer: Because it's a strategy that can net you a position in the long run - either with another firm or with the firm that just rejected you! Option 1: Start all over again, initiating a new search, requiring reviewing 100s more resumes, more interviews, etc. Option 2: Get back in touch with their 2nd or even 3rd choice candidate, invite them to come on board, and eliminate the co$tly and time-consuming initiation of a new search. Should the 2nd choice candidate have, by this time, accepted another position, they'll contact their 3rd choice. Option 2 just makes good $ense! ■ This strategy works! . . .
some information I would not have learned any other way. I once competed for a PR position in a large authority-agency in Boston. The position required PR and management experience which I had, as well as contacts with legislators at the Massachusetts State House. It came down to 2 of us. It was a dream job, and I was really disappointed the day I learned I came in second! However, after a daylong pity-party, I pulled myself back together and made the call. The hiring manager was both sympathetic and empathetic. I learned that my competitor had more contacts than I, and that in the end, the hiring team felt he could hit the ground running sooner! I felt better - it wasn't some great default in my capabilities. And, I learned a lot: To pursue a similar position, I need to up my game and develop more political contacts - I would not have known that had I not made the call. ■ This strategy won't work if . . . This strategy won't work if you sound angry or frustrated. Take it from me, one who has spent considerable time in the HR profession, companies fear employment law suits. To a company representative getting a call from a disgruntled-sounding unsuccessful candidate for a job, it may seem like the candidate is considering an employment law suit if their demeanor suggests that they were treated in some unfair manner. And from a practical sense, no one likes interacting with disagreeable, difficult, angry people. So, watch your tone, plan a pleasant conversation, and you may just mine some gold that will be helpful to you in finding your dream job. When you think of it, both you and the prospective employer invested a lot via the interview process. By remaining professional and gracious, and following up thereby staying visible, you can make your investment pay a return when you follow-up every rejection with a call and a letter. It's a "Smart Strategy!"